Smartphones and internet have changed our social behavior. We now spend more and more time connected to our social environment. With the increasing need to control what happens around us, smart home products offer people a way to speak with their house and ask it to do things for them. 1. We do not want to carry with remote controls any longer. We want all of them integrated in a single, clean and easy to use interface on OUR Smartphone. 2. We want to control all what happens around at anytime, from anywhere. We want to be able to open or close the garage from anywhere using a Smartphone. 3. We want to be notified of any event that happens at home. In case of emergency, we want to be notified in real time. 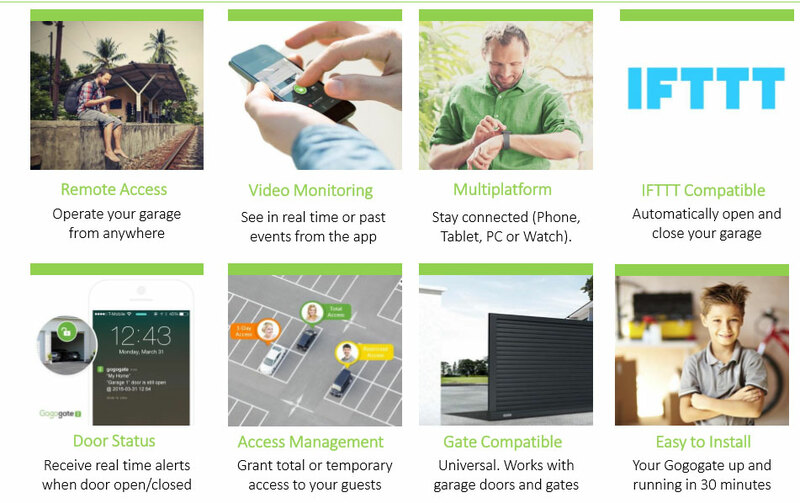 Open, close and monitor your garage, entrance door & gates from anywhere. Through the use of your Smartphone (iOS/Android), you will be able to remotely open your garage door being miles away from home*. Have some guests at home but you are still at the office? Don’t worry, just let them in from the single touch of a button on your Smartphone, tablet or PC. * You must be connected to internet via 3G/4G-LTE or Wi-Fi. Still wondering if you left your garage door? With Gogogate2, this won’t happen anymore. The system can be combined with two types of sensors: wireless or wired. These sensors will send you an alert every time your garage door or gate is open, closed or left open. All alerts can be received via phone notification or via email. A log of events will also be available on both the app’s main screen and in a built-in calendar, so you can track all traffic at home, at the office or in the warehouse. 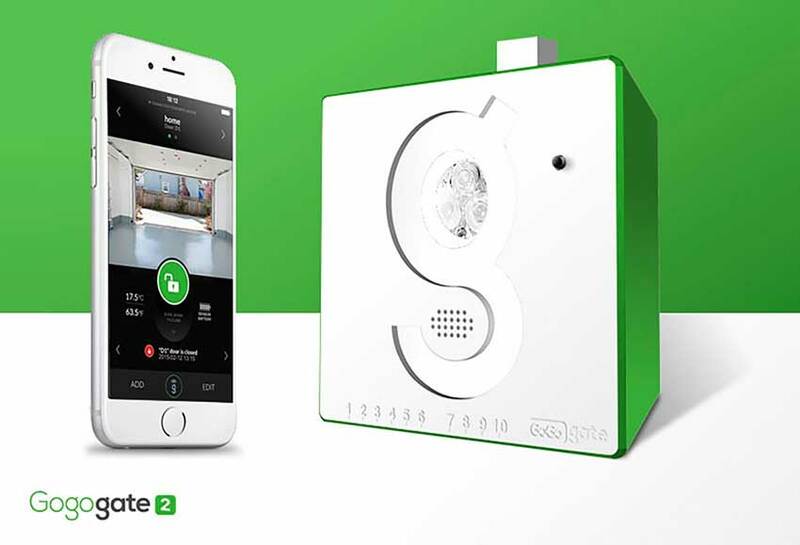 Share access to your home with Gogogate2. Grant or deny access to your garage to different users. With our access management feature, customers can create different user accounts and restrict the access to home by time (hourly), location (local access or remote) and by door in case you have more than one connected per device. Have no confidence in giving your keys to the housekeeper? Don’t worry, send her/him an invitation and decide or monitor when she/he can arrive and leave home. We have 2 Garage doors in th showroom hooked up & also a front door to show you just how easy it is to use. Come and see us at our new showroom in Birstall, Leicester. LE4 3LH. *With the relevant equipment to link the GoGoGate App to.